Pioneers in the industry, we offer ball pen counting and packing machine, straw counting and packing machine, screw counting and packing machine, nuts and bolts counting and packing machine, washers counting and packing machine and nylon sleeve counting and packaging machine from India. As a quality-oriented organization, we are focused on providing our clients excellent quality Conical Ball Pen Counting Packing Machine. The offered Ball Pen Counting Pkg Mc is widely used in various industries for sealing the pouches of different materials. 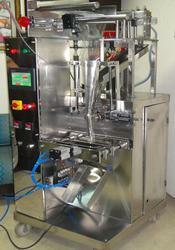 Our customers can purchase this machine from us at industry leading rates. To meet the variegated necessities of our patrons, we are involved in providing a wide series of Straw Packaging Machine. Furthermore, we offer this product at nominal costs. This Straw Packaging Machine is checked on different parameters in order to deliver a fault free range. The offered Straw Packaging Machine is highly demanded by various industries for their excellent performance and non-corrosive nature. 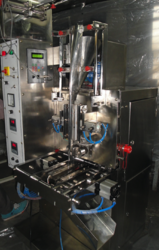 Unitek offers Automatic Screw Counting and Packaging machine in 3 side seal pouches. Designed with technical perfection rugged construction so as to meet with your requirements exactly both now and in years to come. Unitek offers Nuts And Bolts Counting And Packing Machine in center seal pouches. 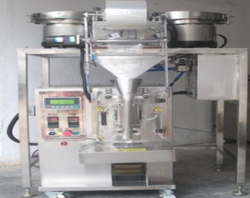 Unitek offers Automatic Metal Washers Packaging machine in 3 side seal pouches. Unitek offers Automatic Nylon Sleeve Counting And Packaging Machine in 3 side seal pouches. Unitek offers Automatic Crystal Clear Plastic stick Counting and Packaging machine in 3 side seal pouches. To meet the variegated necessities of our patrons, we are involved in providing a wide series of Agarbatti Packaging Machine. Furthermore, we offer this product at nominal costs. 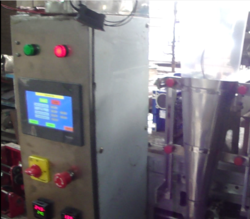 This Agarbatti Packaging Machine is checked on different parameters in order to deliver a fault free range. The offered Agarbatti Packaging Machine is highly demanded by various industries for their excellent performance and non-corrosive nature. Packaging Details: Packing in Wooden Crate. 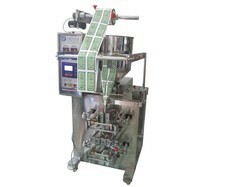 Unitek offers Automatic Tailor Chalk Counting and Packaging machine in 3 side seal pouches. Automatic counting and packing machine for ice cream spoons. The machines comprises of Plc , Touch Screen HMI, VFD, PID Temperature controller , precision laser sensors for counting the pouch formation , filling, counting sealing is automatic process. To meet the variegated necessities of our patrons, we are involved in providing a wide series of Barbecue sticks Packaging Machine. Furthermore, we offer this product at nominal costs. 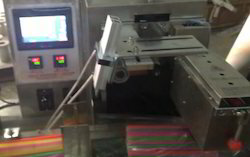 This Barbecue stick Packaging Machine is checked on different parameters in order to deliver a fault free range. 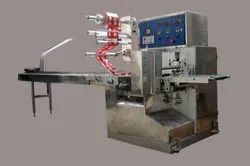 The offered barbecue Packaging Machine is highly demanded by various industries for their excellent performance and non-corrosive nature. Owing to our sound experience, we have been successful in catering to the requirements of our esteemed clients by offering quality Cycle steel balls Packing Machine. All our products are fabricated employing advanced technology and latest machines following standards & norms of the industry. To cater to the diverse requirements of patrons, we customize the offered range on the basis of the specifications detailed by them.